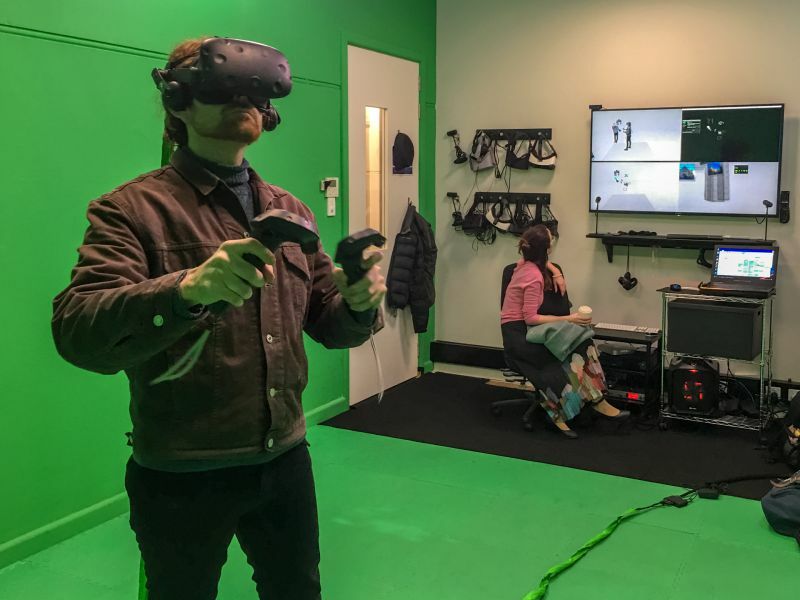 The Learning Environments virtual reality lab allows staff and researchers to explore and experiment with interactive virtual reality applications for use in teaching and learning, research and engagement. The Learning Environments Virtual Reality Lab was established in 2014 to facilitate the development and application of virtual reality technology in teaching and learning, research and engagement. Consultations and demonstrations are available for academic staff, professional staff and research higher degree students working on virtual reality related projects. Applying immersive technologies to improve learning and the development of key skills in ecology (LTI funded). VR meetups are a great way to meet other VR developers and enthusiasts and occur regularly throughout the year around Melbourne. This comprehensive guide to getting started with virtual reality is a great resource for headsets and information. So is this one. For University uses such as teaching and learning or Open Day activities we currently recommend the Oculus Rift but there are other good choices depending on your needs and new hardware is always being released. Check out this article on purchasing a VR ready system or contact us for assistance. For high uses cases such as public demonstrations or classes we recommend purchasing VR covers. You will also need to buy a few sets of wipes to use between uses. Non-alcoholic antibacterial wipes are also recommended to wipe down the covers between users, alcoholic wipes may be uncomfortable for some people’s faces. You can either build your own PC based on the recommended VR specifications or choose from a number of pre-built ‘VR-ready’ systems. VR-ready computers may not be be available from central procurement so contact us for the latest recommendations. When developing for virtual reality, although different users have varying levels of tolerance it’s important to prevent users from experiencing simulator sickness. This occurs when a user in the real world experiences acceleration beyond a personal comfortable level in the virtual world. This article Keeping Simulator Sickness Down provides an excellent overview of this issues to keep in mind when designing VR experiences. Public demonstrations of virtual reality experiences need to be accessible for all users since a poorly designed or setup experience can put people of using VR again. We are happy to assist with consultation on VR demonstration best practices.